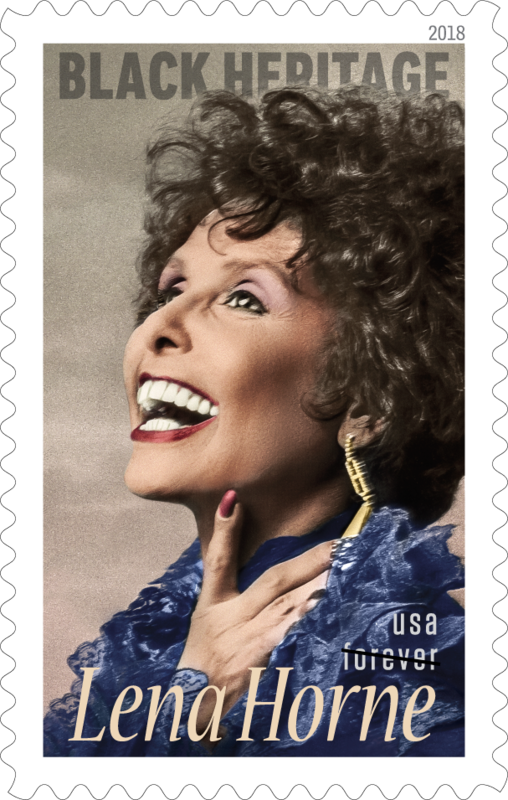 I Need The New Lena Horne Forever Stamp! I’m pretty much at the point where I buy stamps once a year — and that’s in February, just in time for the Black Heritage stamps. I buy a whole sheet and I let go of them slowly. I’ve had (and maybe still have a couple) Maya Angelou, Ray Charles, Jimi Hendrix, Sarah Vaughn… the Sarah Vaughn forever stamp is still available on USPS.com, BTW. This year’s Black Heritage stamp is Lena Horne, and she is the 41st honoree in the Black Heritage stamp series. If you’re a longtime reader of this blog then you know that Lena Horne was like my auntie in my head. I gotta get this stamp, for reasons. Lena Horne was an icon, a multitalented dancer, vocalist and actress who brought elegance and grace to every performance. If you’re around my age, maybe you first loved her in The Wiz. Maybe it was on Sesame Street or The Muppet Show. Wherever it was that you first laid eyes on Lena Horne, I’m willing to bet she made an indelible impression. She sure did for me. “Born in Brooklyn, NY, on June 30, 1917, Horne was a trailblazer in Hollywood for women of color and used her fame to inspire Americans as a dedicated activist for civil rights. Horne began her career as a dancer at Harlem’s Cotton Club and later became a featured vocalist with touring orchestras. The rampant racial discrimination she encountered from audiences, hotel and venue managers and others was so disconcerting that she stopped touring, and in 1941, she made her move to Hollywood. A year later, she signed a contract with MGM — one of the first long-term contracts with a major Hollywood studio — with the stipulation that she would never be asked to take stereotypical roles then available to black actors. Her most famous movie roles were in Cabin in the Sky and Stormy Weather, both released in 1943. Click here to get your Lena Horne forever stamps! « The Best Valentine’s Day Ever: Tips for the 5 Senses of a Great Date Night In! Wonderful woman happy to see Lena’s gotten her stamp.